Dinner on a Friday night. 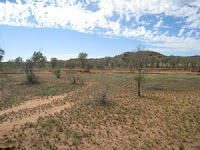 Last year in February and June I worked for PAW Media in Yuendumu, NT. I did some After Effects work on Willowra Wardilyka animation. 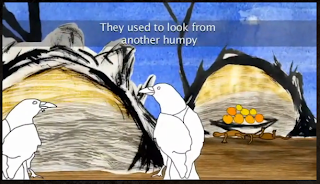 Also some captioning on a couple of other animations in the Animating Jukurrpa project working with Adrian 'Simba' Jupurrurla Nelson. Jason Japaljarri Woods was another PAW media worker I had the privilege to work with. We did some Flash animation, some PhotoShop work, some stopmoti on (sand and paper cutout), and I gave him some support on the projects composited in After Effects (+ I was given some support in After Effects by PAW's David Slovo!). Jason recently completed his final animation in the Animating Jukurrpa collection. Wangarla jukurrpa It is wonderful. His animation skills are impressive. 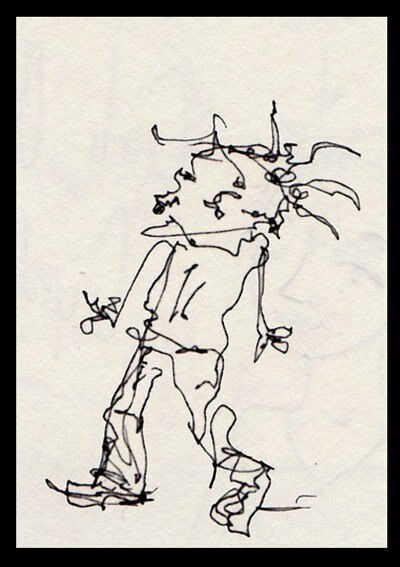 His drawings come to life through patience, careful observation and analysis (a true animator). Jason, David and myself went out and recorded Neville “Cobra” Japangardi Poulson telling the Wangarla jukurrpa. Jason then went to work on designing the animation. Painting backgrounds and props, scanning and PhotoShopping these elements, and practicing drawing crows - then animating them in Flash. I was only there for four weeks so I have only just seen the final animation. It is beautiful and well worth a look, and while you're there have a look at the other Jukurrpa story animations. Thanks to Susan, Trevor, Simba, Simon, Jason, David, Gabrielle, and everybody at PAW Media for this opportunity.